If you’re looking to get your 4 month on a schedule, today I’m sharing our daily routine. I will be posting monthly updates to our daily routine and updated schedules as my baby gets older. So stay tuned for more schedules to come! 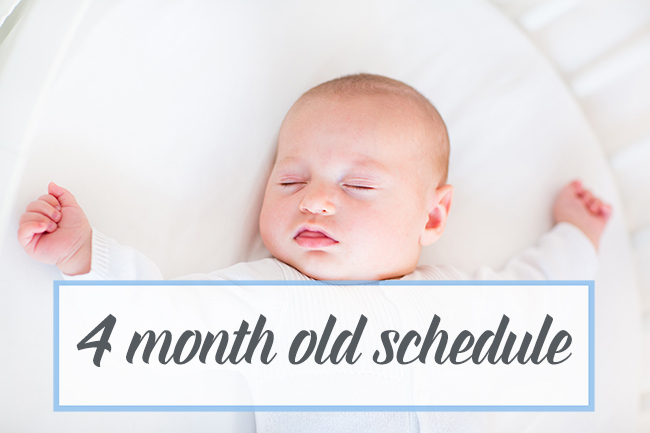 Today, I’m sharing the 4 month old breastfeeding schedule we are currently on. Up until this point, we haven’t had a schedule, which is usually normal with newborns. Newborn’s sleep schedules are erratic so it is hard to get into a consistent routine before 4 months of age. Bedtimes can also be late and erratic the first 3 months so we’ve been managing a night owl schedule. Now that our baby is 4 months her bedtime is drifting earlier and I expect this to continue as she gets older. This is the perfect time to get your baby into a routine as they naturally settle into a 4-5 nap schedule. *Sometimes there is a middle of the night feed around 5am. It is common for baby to still get up 1-2x per night after the first 5-8 hour stretch at this age. Note: If your baby wakes up earlier, adjust the times above accordingly. For example, if your baby wakes up at 7am, then bedtime should be around 7:30-8pm. How many naps for a 4 month old? As you can see our 4 month old is napping 4 times a day now. This schedule has naturally emerged from following a 1.5-2 hour wake time in between naps and trying to do an “Eat, Activity, Sleep” schedule. The “Eat, Activity, Sleep” schedule was introduced in the Baby Whisperer book and I have tried to implement this with both of my babies. The key premise here is that you want to feed your baby AFTER they are awake. This way they are not associating nursing with going to sleep and will likely sleep better at night. This isn’t always possible to do this based on your baby’s nap schedule. Some days the schedule may get thrown off and I do have to nurse right before my baby goes to sleep. And that’s OK! Just try to implement as often as you can. Naps at this age are typically 45 mins to an hour. Babies at this age haven’t yet learned to connect their sleep cycles so it’s common to have a nap that is just one sleep cycle. 4 month old babies usually nap 4-5 times a day. The key is that you’re wanting your baby to get 15-16 total hours of sleep a day (including naps & night time). I space the first two naps 1.5 hours apart and the last 2 naps 2 hours apart. Babies are able to stay up longer stretches the later in the day, so I have found staggering the wake times like this has worked very well. 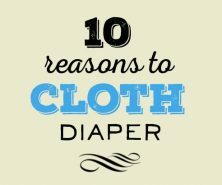 How often to nurse a 4 month old? As far as nursing during the day, we are doing approx. 3 hour intervals in between nursing schedules. But I nurse on demand, and sometimes that means my baby is hungry before the 3 hours and I will feed her. If you want to do a similar 3 hour interval, I still recommend feeding on demand but keeping the 3 hour schedule in mind. You don’t need to stick to a schedule to the T. Every day will be different and you can adapt and change it as you need to. The key elements of a schedule for a 4 month old is knowing that they will likely need at least 4 naps in the day. Carve out the approximate times for when those naps will be (morning, noon, early afternoon, late afternoon) and plan your day around that. 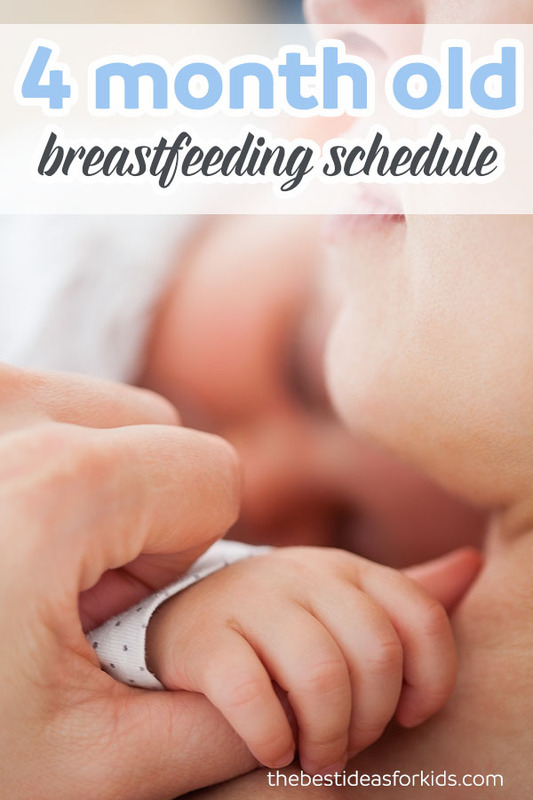 I hope you have found our 4 month old breastfeeding schedule helpful! 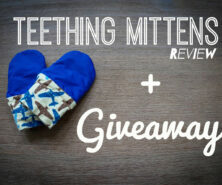 Do you have your 4 month old on a schedule? If so, what schedule are you following? To prepare for the 6 month schedule, print off or bookmark our 6 month old schedule too. And if you need a little boost in your supply, make a batch of our lactation cookies recipe. They are really tasty and have great reviews! Pin this schedule for later so you always have access to it! Why Does My Breastmilk Smell Sour? Next Post » Why does my breast milk smell sour? I personally waited to feed because if you try to feed earlier they are usually not hungry and won’t take a full feed. Of course if they seem really hungry then you can feed earlier. Hello thank you for this article! I have a 4 month old who is on the smaller side but still a healthy weight. I nurse her but she will also take bottles of pumped milk. She has co slept with me since week 2, but I want to get her into her crib for naps and at night. I have not tried to put her down much in her crib, but usually when I do, she cries and cries until I pick her up. I don’t want to fully “sleep train” her by letting her cry and getting her to sleep through the night (she still needs to eat). I just want to be able to put her down for naps and bedtime sleep. I really don’t care if she wakes up to eat. Any suggestions besides those on the linked articles? Hi Emily! If you have co-slept you will probably have to do the transition in stages. I’d suggest you try with the crib or pack and play in your room first. Get her to sleep on her own in your room as the first transition. Once she’s comfortable sleeping in her own crib then you can work on moving her to her own room. Hope that helps! Is this a schedule you find you are able to stick to when you are out and about? Also, what happens when your child wakes at a different time in the morning? Do you still try and stick to the schedule? It’s definitely harder to stick to a schedule when you’re out and about. We usually tried to time naps when you’re in the car or if you can put baby in a carrier or stroller to sleep at those times. Don’t stress too much if you have a lot planned one day and baby gets off schedule, just get back into a routine the next day and make sure you catch up on any lost sleep. If baby wakes up earlier or later just adjust the timing to space it out the same amount so if baby wakes up earlier, then bed time is earlier and if baby wakes up later than bed time is later. When do you pump for the evening bottles? Also, since baby is drinking bottles throughout the night, do you pump then? I would pump the bottle when my husband was giving the bottle during that time, so around 8pm. I would usually pump extra to last until bed time. Then if she got up in the middle of the night I would nurse. If you want to do a bottle in the middle of the night instead you would just need to make sure you’re pumping enough to cover 2 feeds, or you would have to add another pumping session in during the day. Hope that helps! This looks like a great schedule and I look forward to modeling it with my soon to be four month old son. My question is- what method did you use for getting your child to nap and go to sleep independently at this age?